For the past two years I have been filing my store with resources for Kindergarten and Preschool teachers! I just uploaded my last preschool and kindergarten pack to e-junkie! It’s a teddy bear themed packet. Click Here to Purchase or Learn More! Below are pictures of items found in this set! Ten in a Bed Activity! 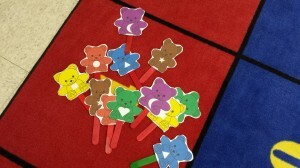 Colorful bears and shapes activities…. 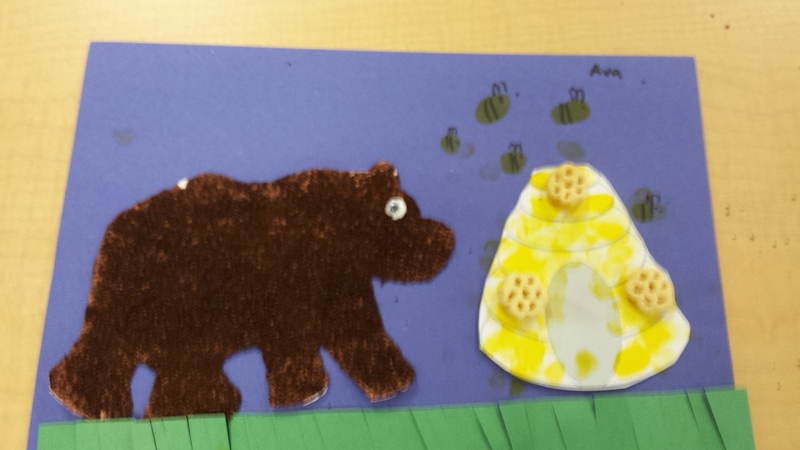 Fun with bears in Preschool and Kindergarten. 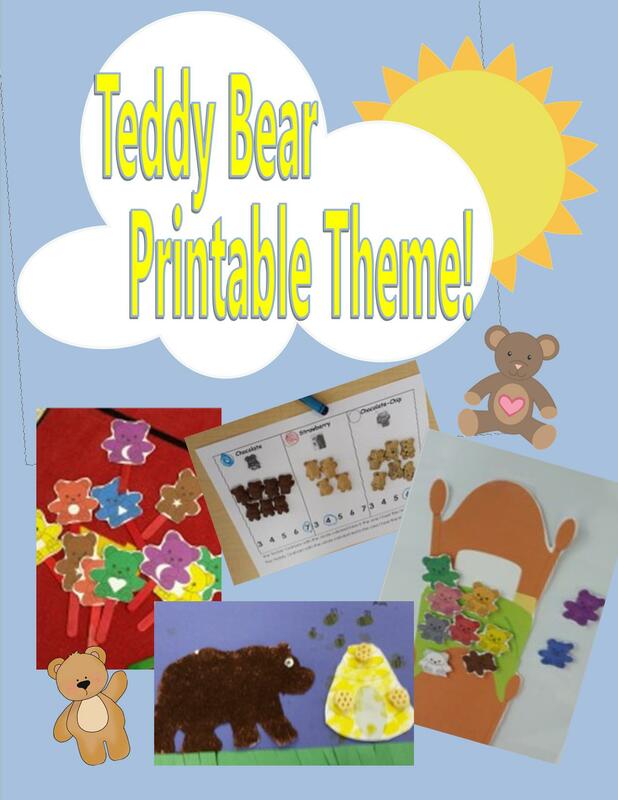 Bear themed activities, pocket chart displays, manipulatives, craft templates, and more for your theme. Page 3—Color, Trace, and Dab Dots for a Teddy Bear Picnic. Student Worksheet. 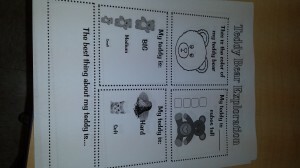 Page 4—Teddy Bear Counting Activity sheet. Cut out missing numbers and glue in correct place. 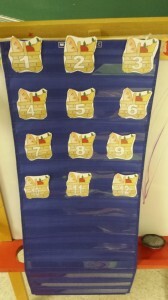 Page 7 to 9 —Teddy Bear Number Recognition Pocket chart pieces and activity. Numbers 1-12. Page 10—14—Ten Teddy Bears in a Bed Activity. Magnetic White Board Pieces included. Pages 15 to 18—Gummy Bear Colors and Shapes. Activities and Manipulatives. 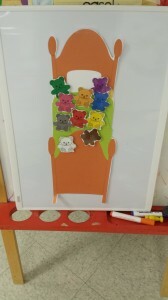 Page 19 to 20—Bear in Cave Craft Cup Idea with printable bear template. Pages 21 to 23—Coffee Bear Craft with Fingerprint Bee Hive. 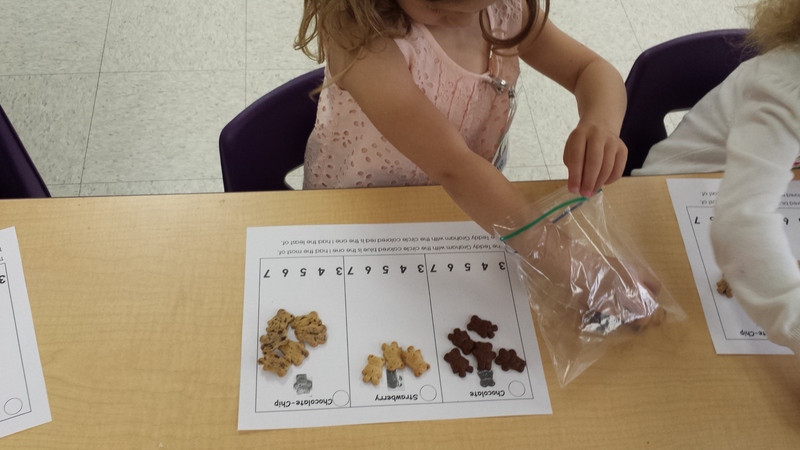 Pages 28 to 29—Teddy Grahams Math Fun. Also edible treats to make for Teddy Bear Snacks. Pages 32 and 33—God Loves Me Beary Much Craft idea and template. Click Here to Purchase or Learn More! Also on TPT – Click Here! Read a Great Valentine’s Book! A Hungry Caterpillar To Print & NEW PACKET!! !